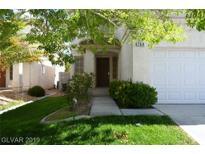 Below you can view all the homes for sale in the Amigo subdivision located in Las Vegas Nevada. 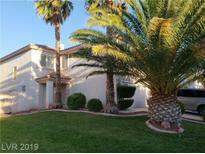 Listings in Amigo are updated daily from data we receive from the Las Vegas multiple listing service. To learn more about any of these homes or to receive custom notifications when a new property is listed for sale in Amigo, give us a call at 702-323-5939. Now a Short Sale - Open Floorplan w/ all tile floors downstairs, Breakfast Bar in the Kitchen, Laundry Room with newer Washer and Dryer included, workbench & storage in the garage, walk-in closets in the secondary bedrooms, ceiling fans and 2" blinds in every room, large covered patio, hot tub waterfalls into the sparkling pool, no neighbors behind! MLS#2086828. eXp Realty. Buyer to verify schools and all info in this listing. MLS#2083161. Hecker Real Estate & Develop. The home has a new dishwasher, granite countertops, a huge master bedroom with a junior master bedroom, open floorplan downstairs and new blinds. Lots of upgrades! MLS#2076311. Meridias Realty Group. Both master bathrooms have double sinks & showers.Kitchen has granite counter tops, breakfast bar & all appliances included.Spacious backyard, covered patio, low maintenance landscaping and plenty of room to entertain.Close to shopping and all amenities. 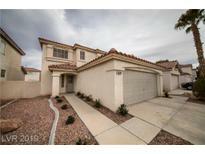 MLS#2073796. Keller Williams Southern Nevada. Pool with rock grotto and built in bbq MLS#2069358. LIFE Realty District. Potential side expansion for RV parking. MLS#2068645. Signature Real Estate Group.